I want to Study in China! Immerse yourself in Chinese culture as you explore the language and rich history of China! Our partnerships in China allow you to study away while maintaining your student status here at Missouri State University. This means any scholarships, financial aid, and even military TA you receive is still applicable while studying in China! Study in China is also the cheapest study abroad option at MSU. A semester in China, including plane tickets and all fees, can cost about the same or less than staying here for the semester. While abroad, you will also find many employment opportunities to build your résumé and pay for expenses. Past students have found work doing everything from teaching English to modeling. University Programs at Dalian and Qingdao offer one semester or a yearlong stay. Course credits are transferable from China to MSU. Dalian is a port city located in the Liaoning province and is well-known for being an international logistics and shipping hub. Along with Chinese language and culture courses, MSU students studying at Liaoning Normal University have the option to take both general education and general business courses. Qingdao University offers an intensive language and culture program for Missouri State students. 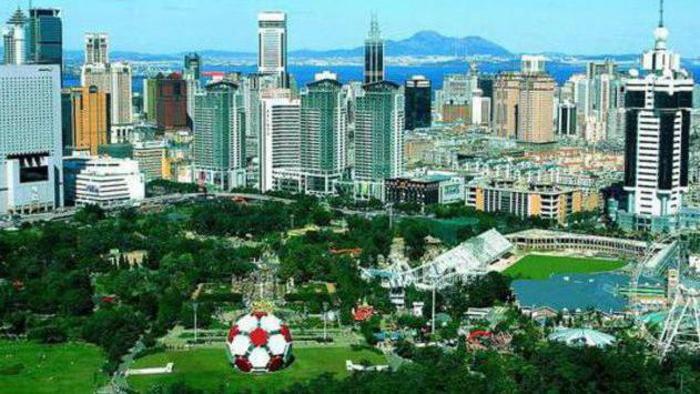 Qingdao is a medium-sized city (population 9.2 million) located in the Shandong province on the coast of the East China Sea. Not interested in Chinese language? The Study in China Program offers opportunities for Missouri State students to study with or without a Chinese language requirement in Dalian or one of our many other partner universities in China. To learn more about our primary china universities, explore the links above. For more information contact or visit Study Away Programs in the Plaster Student Union, room 209. There are a variety of scholarships available to students. Please read the Study in China Scholarship List for more information.